Dan Rhatigan. Photo by Phil Sayer. 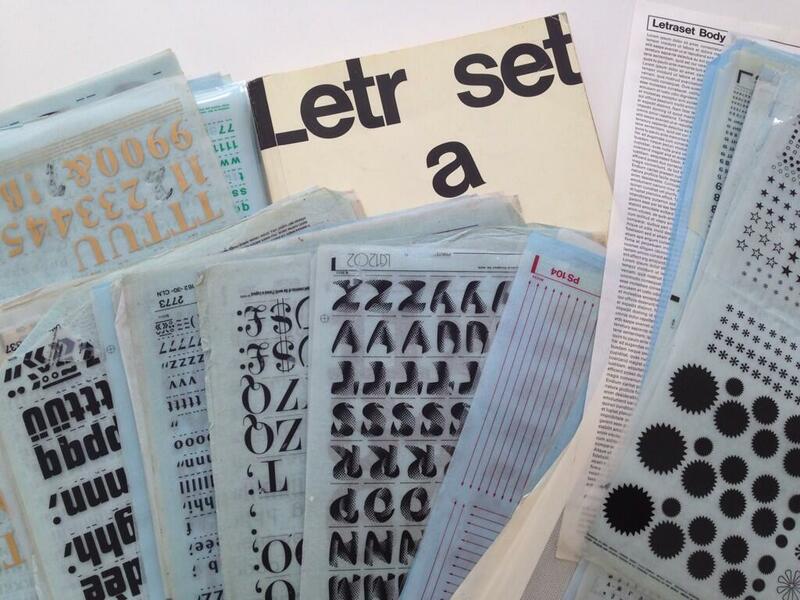 Top: Letraset from Dan’s collection. Tony Rushton in action at the Private Eye office. 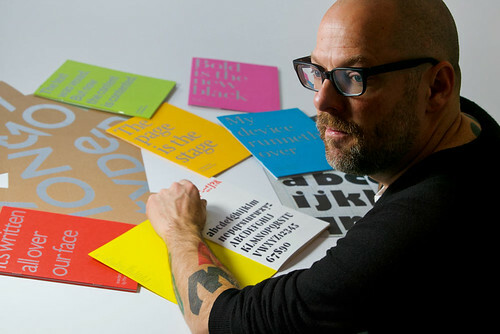 The first half of the evening will feature a talk by designer Dan Rhatigan – who describes himself as ‘a professional type nerd’ – followed by a short break for drinks and time to browse through St Bride publications and Eye back issues that will be on sale at special prices. Dan, who is Monotype UK’s type director, was interviewed for Eye 84, the Monotype special issue, in the article ‘All about workflow’. Tonight’s event will be a chance to hear Dan explore some other aspects of his design life, though we are sure the subject of Monotype (and the company’s relationship with Letraset) will come up at some stage. We also recommend Dan’s Ultrasparky blog, which includes eccentric entries such as this piece on ‘The Devo / Letraset Crossover’. He is the editor of gay zine Pink Mince, each copy of which comes with five assorted mini-sheets sheets of rub-down (Letraset-style) type. 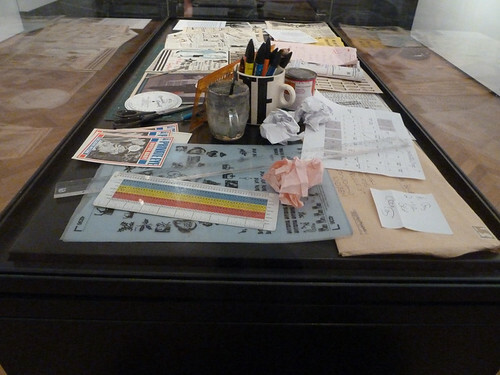 Private Eye production methods on display at the Victoria & Albert museum in 2011. See this ‘Type Tuesday’ article about the magazine’s V&A show. 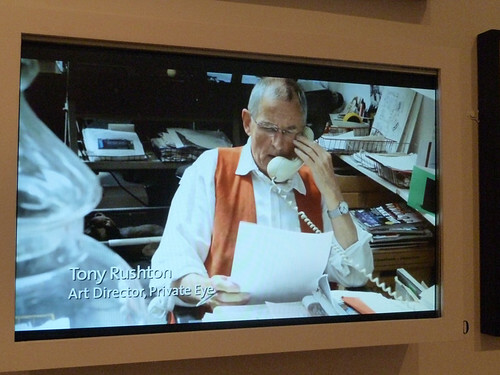 After the interval we will hear a short talk from art director Tony Rushton, who worked at Private Eye for half a century. 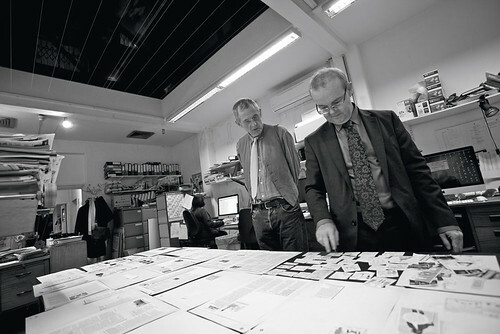 Read more about Tony and that highly successful magazine’s production secrets in ‘Old school layout’ in Eye 82. Tony Rushton with editor Ian Hislop. Photo: Phil Sayer. Dave Farey, followed by a general chat with Dan plus Eye’s Simon Esterson and John Walters. 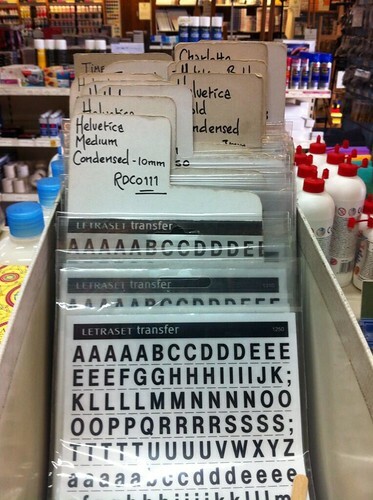 Letraset memory courtesy of Alice Devine. The forthcoming Eye 86 (on press next week) includes a ten-page feature about Letraset by Jane Lamacraft, who interviewed Farey and Brignall about their Letraset memories. The hashtag #Letrasetmemories on Twitter has already thrown up lots of anecdotes and images, such as the one above by Alice Devine. Letraset from the collection of Dan Rhatigan. We look forward to seeing lots of Eye readers (including new readers with no memory of Letraset at all), at tonight’s Type Tuesday, 10 September, 2013. Bridewell Hall, St Bride Foundation, Bride Lane, Fleet Street, London EC4Y 8EE. Doors open at 6.30pm. Book your ticket now on Eventbrite.